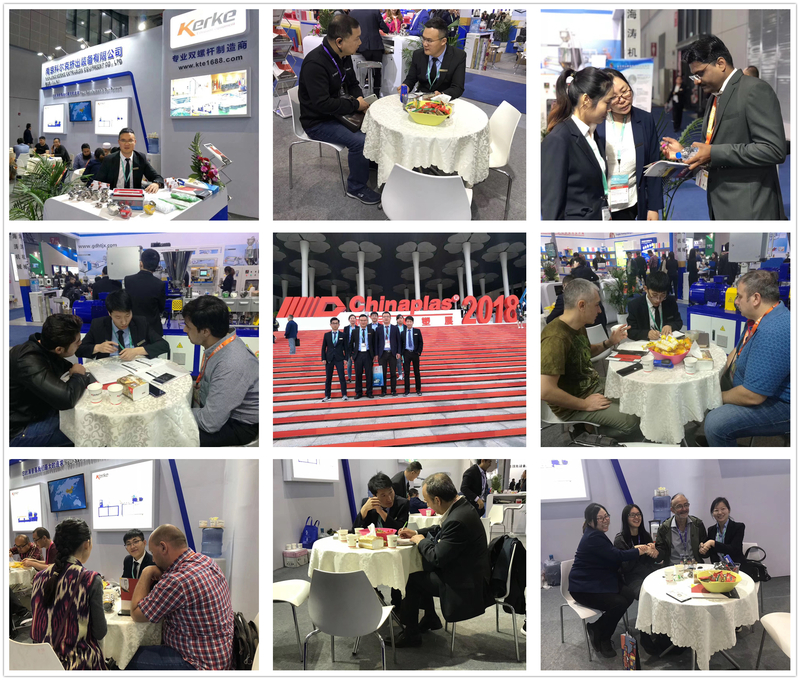 “CHINAPLAS International Rubber & Plastics Exhibition” has grown for more than 30 years with China plastic and rubber industry, and has become the largest rubber industry exhibition in Asia, and has played an active role in promoting the development of China rubber and plastic industry. 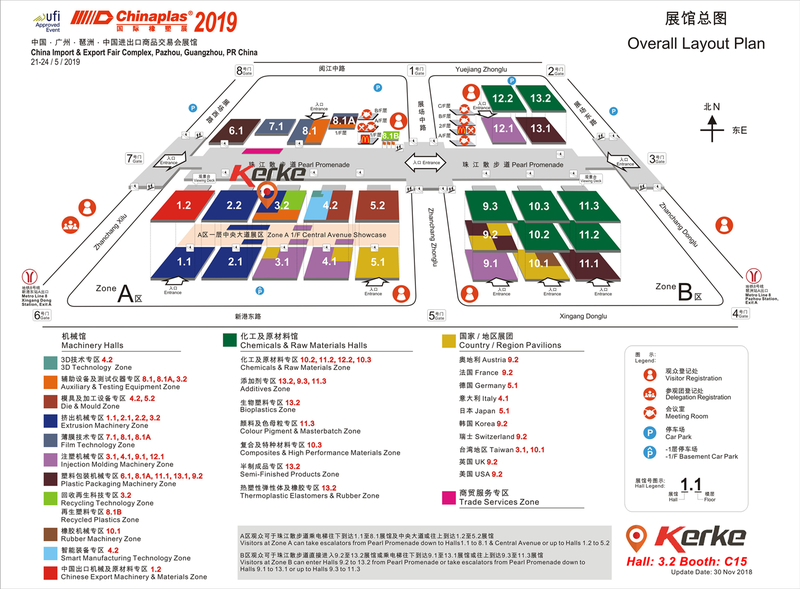 At present, “CHINAPLAS International Rubber and Plastics Exhibition” has been the world’s leading plastic rubber industry exhibition, the industry recognized that its influence is second only to the German “K exhibition”, and become one of the world top rubber industry exhibition. Kerke company is a professional manufacturer focusing on plastic extruder research and development over 10 years. 200 machine lines were sold to Worldwide every year with more than 95% satisfaction from 60 countries customer. In the past few years, every time we attend the fair, we got high approval and orders from the customer. We are the best partner you shouldn’t miss. Our production series contain KTE series twin-screw compounding extruder, machine output capacity from 1-4000Kg/h; KTE/SE two-stage compounding line; Plastic sheet extrusion line; SE series single screw recycling extruder, machine output capacity from 100-1500Kg/h; SE/SE two-stage recycling extruder; auxiliary equipment, etc. No matter you are an experienced company nor new in this industry, if you are preparing the trip to Chinaplas, please don’t hesitate to contact us, we will provide the guidance for you, not only the machine but also the journey in China. Expecting your visit.